A new study has found that children are twice as likely to ask their parents not to “over-share” pictures or information about them online. The study also found that children want their parents to be more present and stop using technology during conversations or meals. 1. Are you familiar with this study? 2. 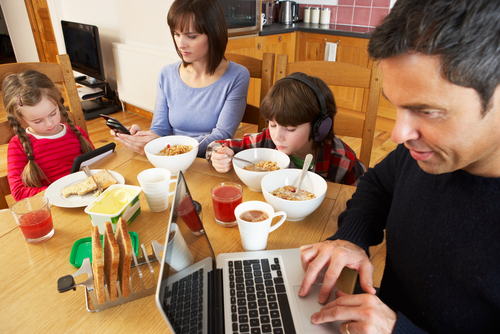 Do you think parents over-share information about their children online? 3. Who do you think relies more on their phone: Children or Parents? 4. Do you answer your phone when you are out for dinner at a restaurant? 5. Do you feel like you always need your phone to be with you?